In a collaborative and globalized world the Church needs to be thinking more about building movements and less about building isolated organizations. Leaders no longer have the luxury of ruminating endlessly on how to eradicate barriers or incubate strategies to unify disparate entities. Instead, today’s leaders must be able to quickly organize and begin catalyzing movements that pave the way for solutions to the problems of today and tomorrow. Church needs to catalyze movements that pave the way for solutions to tomorrow’s problems. The worst thing that can happen to a movement is that it devolves into an organization. Organizations will naturally crop up along the way, but the movement itself must keep regeneratively creating safe space to build infrastructure which allows the movement to happen more quickly. Asa Whitney visits his family’s cotton factory in China. He is shocked & devastated by working conditions. Mechanism for speeding up the movement– a railroad which shortens a treacherous 3 month journey to a safe 2 day trip. It took 32 companies to build this railroad. They were not unified and fought against each other—sounds like the church! Greatest resistance to TCRR—Abraham Lincoln. He resisted change and wanted to build vertically not horizontally. Dynamite was very useful—but many lost their lives. There is danger when you are innovating. Efforts must be coordinated to build infrastructure faster for a greater and richer experience. Everyone needs to do all the different parts—networks, collaborations, and partnerships. 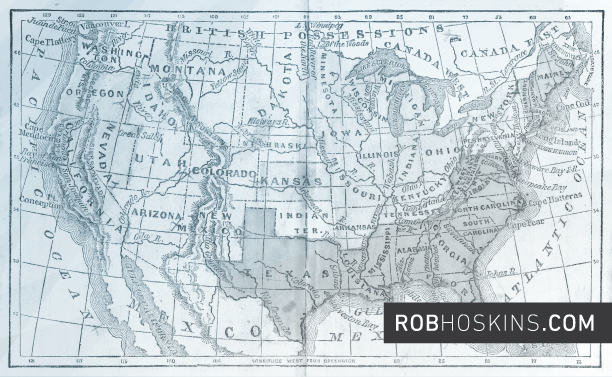 Any time you’re in a room with big leaders, agendas, egos, and different thinkers, the metaphor of the Transcontinental Railroad still holds true. So, what does it mean to be a catalytic leader? Catalytic leaders don’t own anything. They are uniquely gifted to be able to operate in ambiguity. They’re the intrepids–unafraid to start something and figure it out along the way. They don’t fixate on getting the big thing right out of the gate, they just get started. A movement requires a group of people or organizations, working in collaboration, with a shared passion and drive toward significant outcomes that cannot be achieved by any one person or organization, but by the collective strengths and competencies of the participants. Together, they generate significant traction toward a previously unachievable future. Collaborative work ought to generate new organizations, networks, work teams, and products that will cascade well beyond the reach of any of the contributing participants. There is not a single owner for the movement; but multiple champions serving an exponential number of diverse beneficiaries. Vital to building a transformative movement is an understanding of which forces have to be brought together for progressive and radical change. When you are only accomplishing the third element, you know your movement has devolved–and maybe strategically and intentionally so–into an organization. 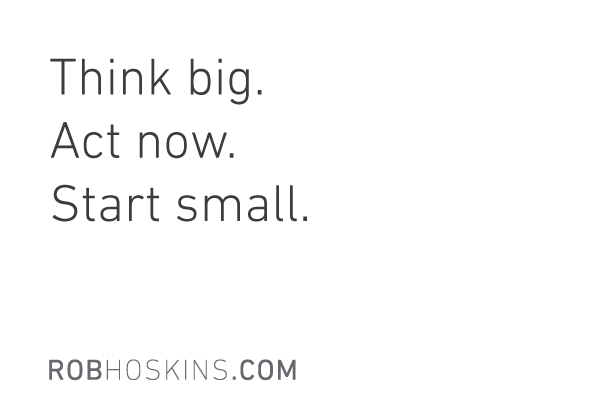 Catalytic leaders Think BIG, Act NOW, and Start SMALL. When confronted with a problem–aka a moment of opportunity–take time to prayerfully consider whether the best solution is to create a new organization or to catalyze a movement. If the solution requires the involvement of Kingdom-minded leaders, influencers, and specialists who can contribute to developing and implementing a new model, it might be your time to catalyze a movement that quickly and generatively pioneers new frontiers. In my experience, there’s nothing more breathtaking than breaking ground and laying tracks so that new organizations can crop up along the way.